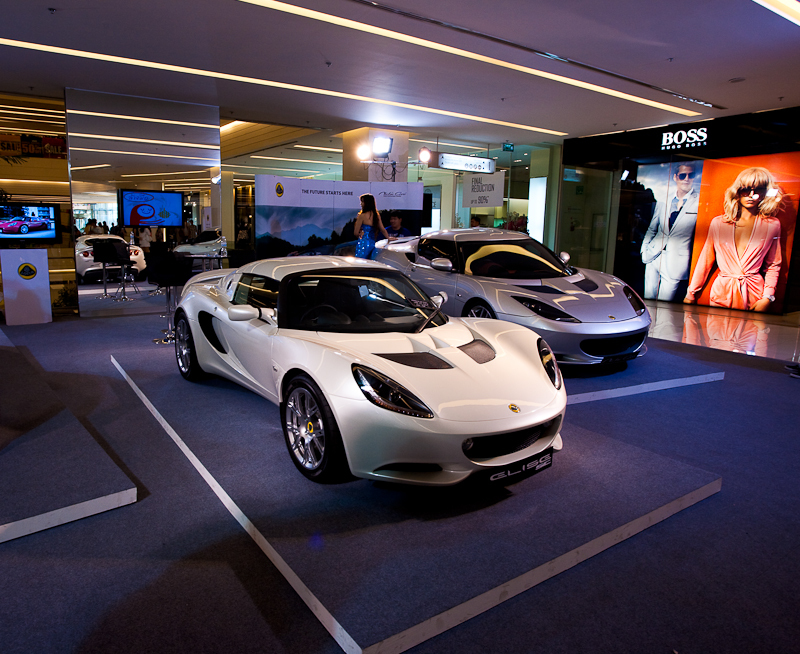 A pair of Lotus sports cars on display inside the Paragon Mall in Bangkok. Or is it a couple of Loti? Home sweet home. Back in Bangkok after a successful visa run. Successful, except the part where I completely brain-farted and overstayed my Thai visa by three days. As I was leaving Thailand to go into Laos, the customs officer informed me of my 1500 baht fine (~US$45)... Ouch. Besides that little goof, I'd consider the visa run a success; I timed everything perfectly as to only stay in Vientiane a single night! To quote the leader of the A-team, "I love it when a plan comes together." 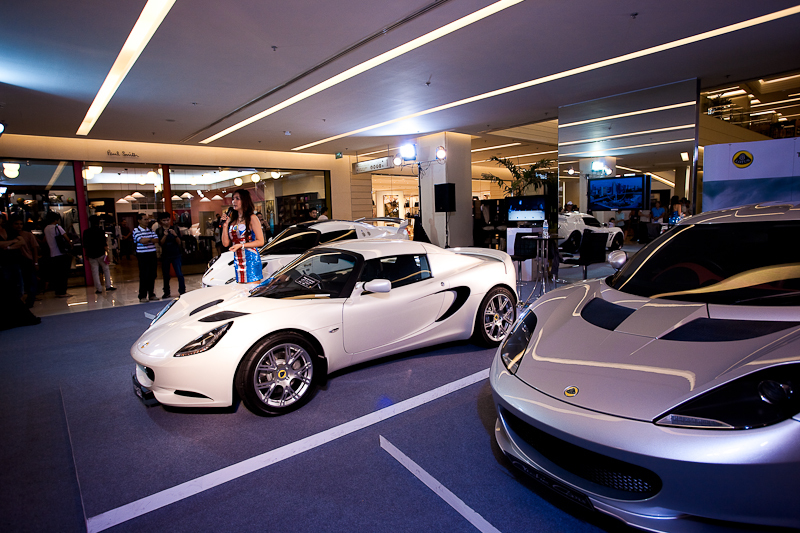 A beautiful spokes-model presumably announces the benefits of owning a Lotus car. As I don't quite understand anything above a remedial level Thai, I can only guess what she was going on about. Even with the benefit of comprehension, it would've been difficult to listen while staring at such a beautiful woman and attempting unsuccessfully to control the drool dripping down my chin.